This policy applies to information on clients and prospective clients, suppliers and prospective suppliers, artists, contacts and all other persons about whom The British Shop holds information. By ‘information’, we mean personal information about you that we collect, use, share and store. In this policy, “we,” “us,” and “our” means The British Shop, a company registered in England and Wales with No 5258020, and “you” means the individual to whom the information relates. 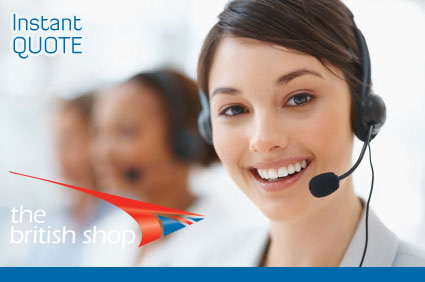 information about you that you give us in person, by filling in forms on our site thebritishshop.co.uk (our site) (e.g. the contact us section) or by corresponding with us by phone, e-mail or otherwise; and information concerning your use of our services. comply with legal and regulatory obligations; and for security and to check your identity. for legitimate interests pursued by us; or to comply with a legal obligation to which we are subject. about any processing of special categories of personal data, we will rely on obtaining specific consent from you at the time unless there is otherwise a legal requirement for us to process such information. to provide requested services; and for our marketing and research. The personal information you provide to us may be shared with third party companies, agents, contractors, service providers or affiliated companies if this is necessary to provide you with our services, respond to your inquiries or for any of the purposes described in this policy. law enforcement agencies, other governmental agencies or third parties if we are required by law to do so; and other business entities should we plan to merge with or be acquired by that business entity, or if we undergo a re-organisation with that entity. the transfer is to a country deemed to provide adequate protection of your information by the European Commission; or and/or where you have consented to the transfer. Any request from you for access to or a copy of your personal data must be in writing, and we will endeavour to respond within a reasonable period and in any event within one month in compliance with data protection legislation. We will comply with our legal obligations as regards your rights as a data subject. Where you are one of our clients or have otherwise agreed to be contacted for marketing, we may use your personal information to send you information about The British Shop. You can unsubscribe from receiving them at any time, details of how to unsubscribe will be included in each electronic mailing we send you. You also have the option of “unsubscribing” from our mailing list at any time thereby disabling any further such e-mail or other communication from being sent to you by emailing info@thebritishshop.co.uk. We will action any opt-out request from you without delay. Where we are permitted to send you direct marketing communications, we may retain your contact information necessary for this purpose, for as long as you do not unsubscribe from receiving the same from us. If you opt out of marketing, we will retain your information to enable us to respect your wishes to not be contacted for marketing purposes. We use traffic log cookies to identify which pages are being used. This helps us analyse data about web page traffic and improve our website in order to tailor it to customer needs. We only use this information for statistical analysis purposes and then the data is removed from the system. A cookie in no way gives us access to your computer or any information about you, other than the data you choose to share with us. You can choose to accept or decline cookies. Most web browsers automatically accept cookies, but you can usually modify your browser setting to decline cookies if you prefer. This may prevent you from taking full advantage of the website.